Take me out to the football game! 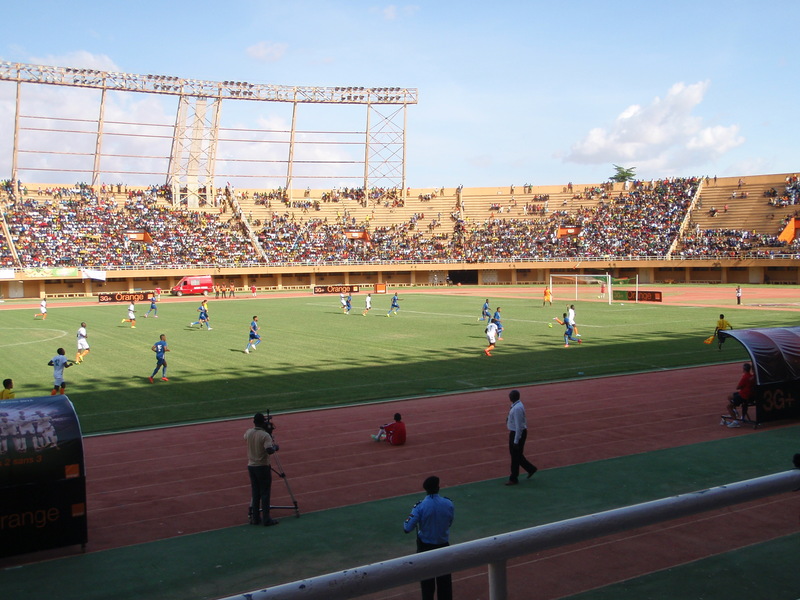 For the past year I have wanted to attend a football match at the stadium in town. It finally happened. 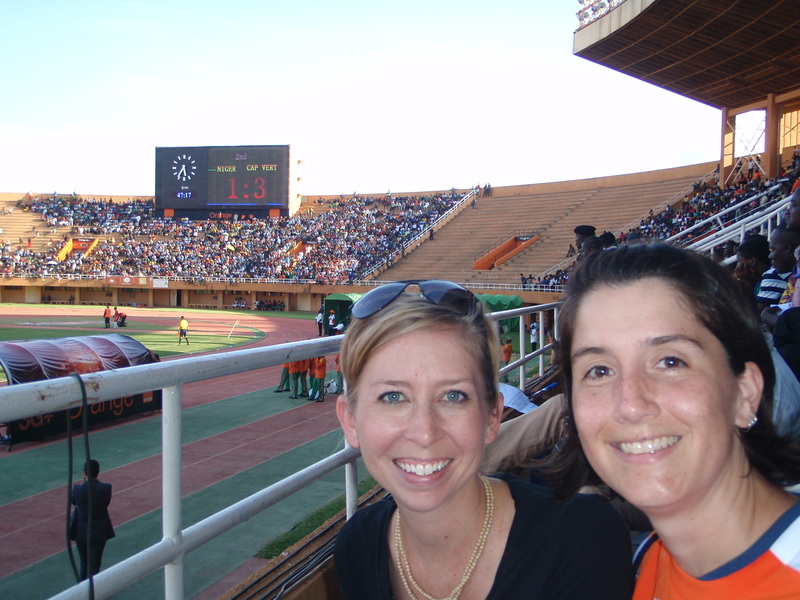 About a month ago, the Niger national team played in an African Cup qualifier against Cape Vert and I went along with my dear friend Brian and Valerie (now residing in DC…so sad). 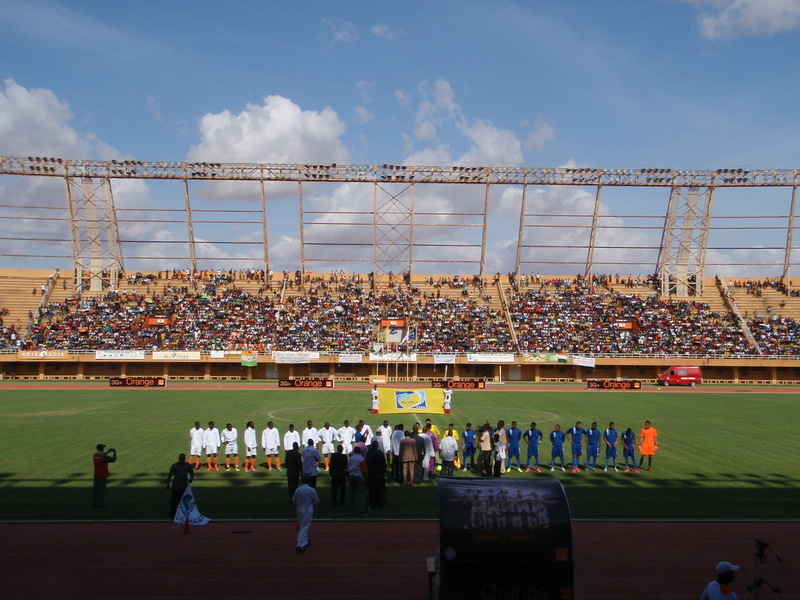 Brian had a friend who is connected to the football scene in Niger and we experienced the VIP treatment: sweet seats and A/C refreshment room at half time. We got there in African fashion, just before the players came out to the pitch. They played both national anthems and then it was time for kick off! I was surprised how well both teams played. Not quite Premier League but better than MLS. Of course, Cape Vert scored three goals in the first 15min but the crowd never died down. 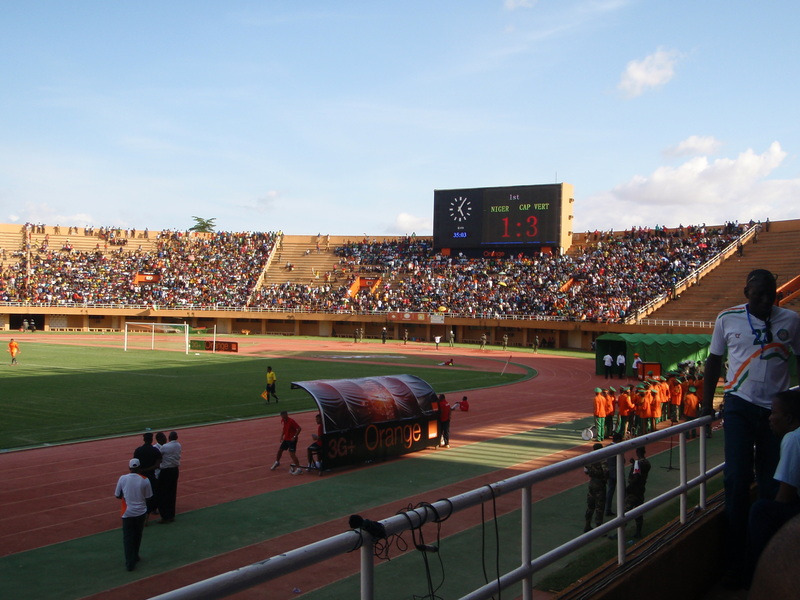 After each goal, the people in the stadium would clap and pump up the Niger players. 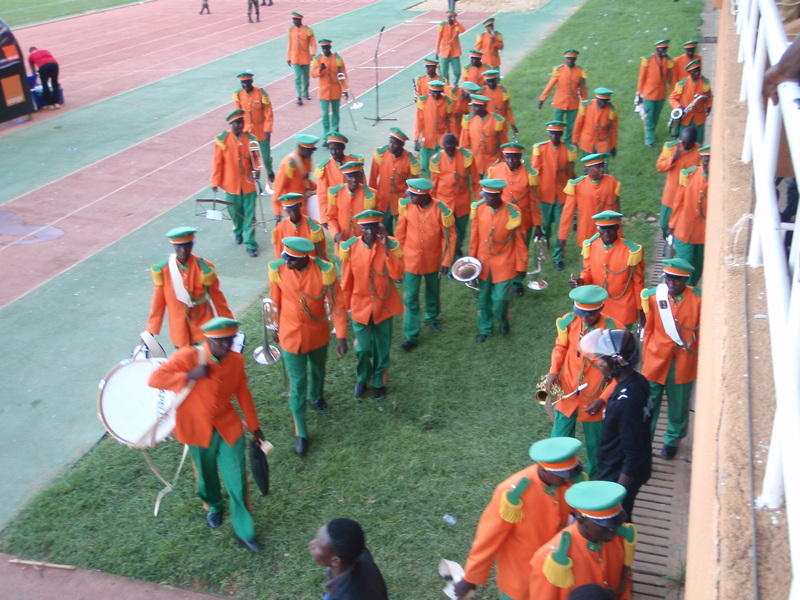 They even had a “marching” band that played music after the goals of the opposing team (I say “marching” because they were all dressed up but never marched…I was disappointed). The crowd was electric and contagious. I couldn’t help but get into the spirit. 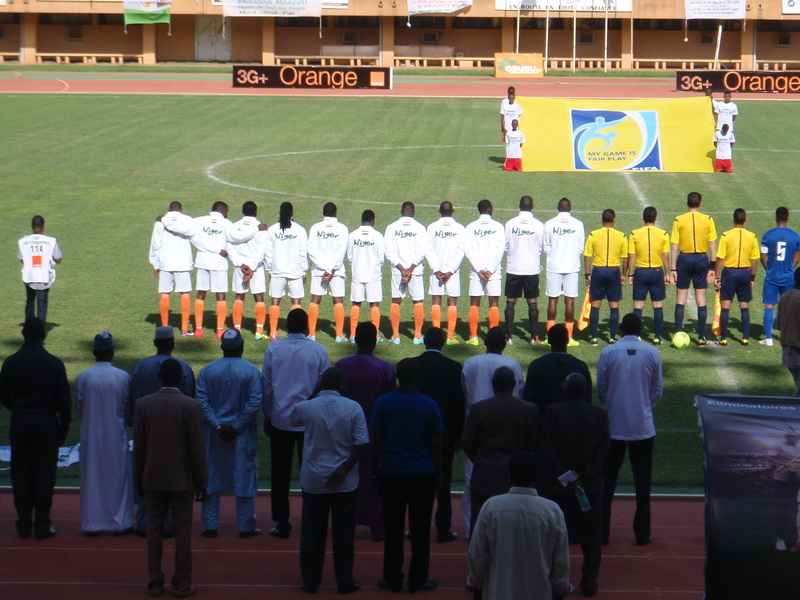 Niger did finally score a goal and everyone went wild! What a glorious moment. You would have thought we won the African Cup then and there. 1 Response to Take me out to the football game! What’s up, just wanted to say, I liked this blog post. It was inspiring.